The discovery of this album precipitated a complete transformation of how I saw, heard, communicated with and ultimately made music. Prior to this I was writing awful R'n'B songs, basically regurgitating the formulaic, paint-by-numbers club tunes I was surrounded by, hoping that what I was creating would eventually lead me to my very own, vague, 'career heaven'. Picking up a guitar and then stumbling across this album changed everything. 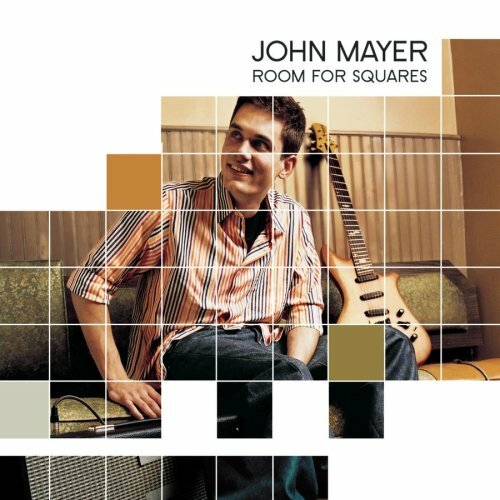 At this time John Mayer represented someone who wrote songs about ordinary things in a way I'd never heard before. Someone who seemed to have accessed a place of authenticity and had found a way of presenting this information in such a way that a complete stranger [me] could relate to, absorb, enjoy and maybe learn from. That is what I wanted to do! Vague career heaven summarily dismissed. Goal specificity accessed and identified. This was it. And even though it's been about six years since I picked up a guitar, I still feel as though I'm at the beginning of this thing. I kinda like that feeling. Arriving is so overrated. So fleeting. Anyway thank you John. It really is impossible difficult to know how something will change your life. I know it sounds dramatic, but this album really did that.